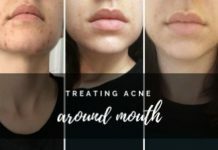 There is no shortage of acne treatments out there, ranging from cheap natural products to extremely expensive medicated options. Laser treatments are also very effective, but most medical options are complete overkill when it comes to treating mild to moderate outbreaks. 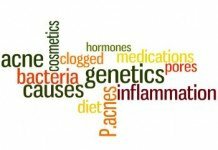 As far as using vitamin B5 boosting supplements and creams it’s important to note that a few initial studies have shown that it’s effective at reducing the risk and severity of outbreaks. And it does so in as little as 12 weeks. The theory behind using B5 for skin care lies in its properties that help the skin rehydrate and heal itself. While only 2 clinical trials have been performed so far, these have both shown very positive results. The good news is that Vitamin B5 is contained in practically all food, so it’s not an alien substance that could cause other problems. And supplements or creams are readily available at very reasonable prices. 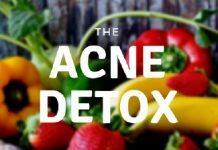 On this page you will find out exactly how it helps to treat acne, and what forms are best to take. 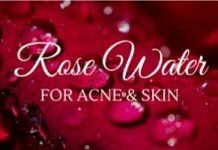 It’s most definitely a great way to try and improve your skin condition with your own trial. Vitamin B5 (pantothenic acid) chemical structure. 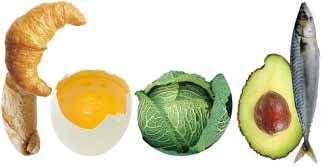 It is a vitamin that can be found in pretty much every single food. 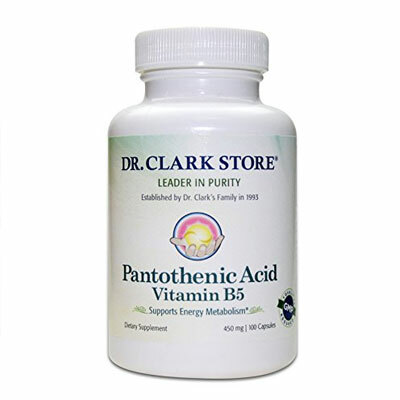 Even if you do not have a well-rounded diet, you are unlikely to ever suffer from a Vitamin B5 deficiency. It is that widespread in foods. However, it is believed that you can always get more Vitamin B5. 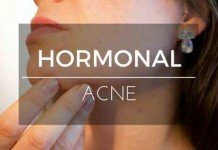 Studies have indicated time and time again that the more Vitamin B5 you have in your body, the more chance you have of combatting acne and other skin conditions. That is what we are going to take a little look at on this page. There are a number of different benefits of Vitamin B5 on the skin. Some of them are related to acne, others not quite so much. In this section, we are going to cover as many of these different benefits as possible, just so you know what you are letting yourself in for when you take this particular vitamin in a higher dose. This is perhaps one of the biggest benefits of Vitamin B5. It does a pretty good job at hydrating your skin, particularly when you use it in a cream form. It works in a slightly different way to other moisturizers, however. You see, this is not going to inject moisture into the skin. Well, it will do to some extent. Instead, it is going to provide a protective barrier which locks the moisture that is already there in. 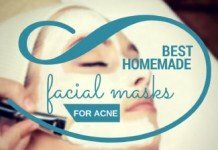 This will result in softer and more elastic skin which is far less prone to acne. 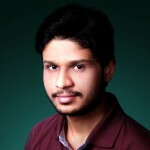 It is also believed that Vitamin B5 can heal the skin. It does this in a number of different ways. 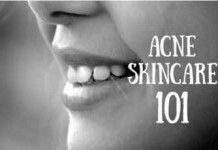 For starters, it will reduce the amount of redness and itchiness on the skin, common symptoms of acne. If the inflammation is causing you pain, then it is going to stop that too. This is fantastic! This is what you want. Many people who use Vitamin B5 cream notice an almost instant relief. In addition to this, Vitamin B5 boosts the way in which the skin repairs itself. 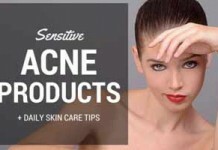 This means that if you are suffering from acne, you are going to want to apply it directly to your skin. 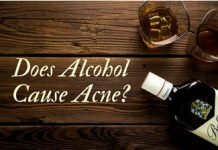 If you can do that, you will find that the acne disappears far quicker and, if you are lucky, you are going to effectively reduce the risk of suffering from acne scars. 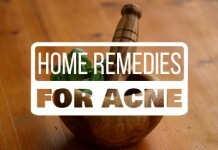 In some cases, there is also a good chance that you will be able to eradicate any acne scars that you already have. 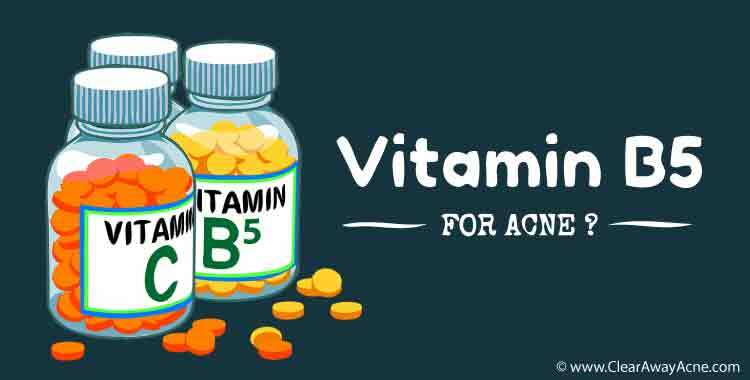 Remember; Vitamin B5 is something which has a whole host of benefits to the skin, even if you are not suffering from acne. It is, therefore, something which you are always going to want to have to hand. It is just that useful. You can consume Vitamin B5 supplements. You can purchase them from any quality health food store nowadays. You should take them as directed. If you wish for the most benefit on your skin, then the Vitamin B5 is going to need to be absorbed directly through it. 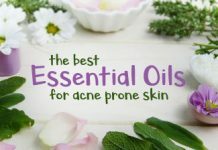 Therefore, use supplements by all means, but they should certainly not be the only way in which you deal with your acne. Start with a low dose of the Vitamin B5. 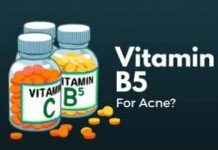 There is no indication at the moment that you can overdose on Vitamin B5, but it is always good to start with a low amount and then work your way up if you find that it is having no effect on your skin. 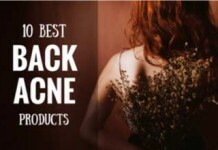 There are a lot of good acne creams out there which are laden with Vitamin B5 nowadays. 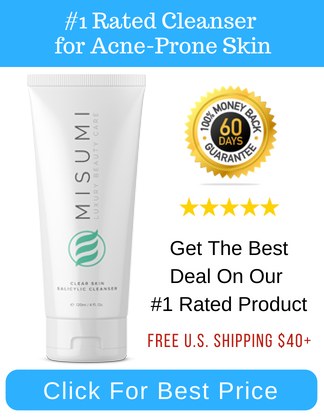 If you believe that your acne is caused by excessively dry skin, then you should use the cream over the whole area. This will lock in that good moisture. You only really need to use a small amount here. Massage it into the skin so it penetrates nice and deep if you want the full benefit. 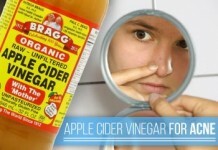 If you are suffering from a few acne pimples here and there, is to just use spot treatment. This is where you are going to want to get a little dab of the cream and apply it directly to the spot. You should rub it in a little, just to ensure it penetrates nice and deep. You should be doing this at least twice a day. 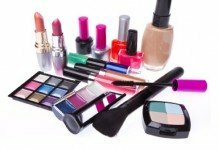 Of course, if there is any excess left over, then you should wipe it off (although it will benefit the skin around it, so you can leave it there if you are not going out). 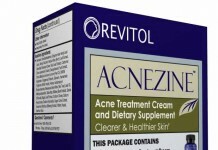 If you are suffering from acne scars, then the spot treatment with the cream is also going to be effective. Using vitamin B5 cream a couple of times a day for a few weeks should either see those scars disappear or just fade a little bit, both are great. For a more detailed look at this whole topic, I highly recommend you to read this article by Dr Dach. 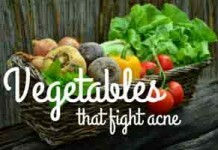 This brings us to end of this precise post on Vitamin B5 for acne. If you have any other questions regarding this issue, share in the comments below!